KEEPING YOUR SENSITIVE DATA SECURE. EVERYWHERE. 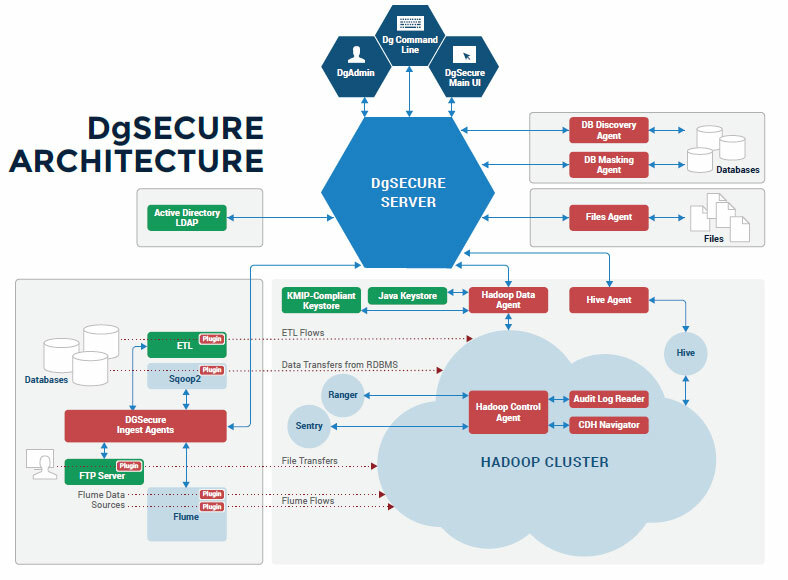 DgSecure’s Hadoop solution takes full advantage of Hadoop’s parallel processing power, and works with all major Hadoop file types. We support all major Hadoop distributions — including Cloudera, Hortonworks, MapR, Pivotal, Amazon EMR/S3 and Microsoft Azure HDInsight. DgSecure detects sensitive data assets in database environments on premises or in the cloud. We support a wide range of databases including Oracle, SQL Server, DB2 and Teradata. DgSecure detects sensitive data assets in Windows and Linux files and all the major file types found in these systems — including the Microsoft Office documents (MS Word, MS Excel and MS Powerpoint), text files, log files and PDFs. Sensitive data can be detected and protected in both remote and local file systems using DgSecure.